Like a species, mankind has advanced in no small part due to the constant positive interactions between people, often of very different natures. The ancient Phoenicians advanced civilization by cross-pollenating cultures of their era via trade. Within your company, very different people with amazingly different backgrounds can produce astounding results providing they work together. This is the opposite of companies where a lack of diversity can lead to monolithic thinking. We humans like the familiar. Things we know and understand are comforting, easy to contend with and lack material stress. This explains why modern Silicon Valley – founded by white, educated males – has had a diversity problem. Not only have technical degree earners remained largely white and male, but the established executives are as well and find no stress in hiring people like themselves. These managers and executives may lack any overt prejudice, but when hiring “go with what they know”. Adding diversity to a workplace increases the workload and stress for some leaders. They have more to contend with, less understanding of the subtle cultural elements, and different team interpersonal frictions. It is understandable, though not acceptable, that these managers take the easy way out and hire people for which they are familiar and for which they have a trust bin performance within a team. But diversity is like manure; the added stress stinks but it helps you grow. Part of diversity expansion in any organization depends on managers understanding that long-term, diversity if healthy for the organization and rewarding for managers and their teams. In my book, Tough Things First, I speak to that subject – doing the tough things first. They are those monumental and difficult tasks on which we humans tend to procrastinate, and by doing so, fail. In the list of tactical processes that follows, you will see that successful corporate diversity requires active participation, both in weeding out those elements that block functional diversity, but also that accelerate its effective adoption. I was not in the least offended by his comment. I put my arm around him and told him I appreciated his feelings. By choosing not to be offended, I was able to maintain a good relationship with him. Indeed, one of the best ways to overcome prejudice – and thus enhance diversity – is to never be offended by comments and to encourage not being offended as part of corporate culture. Remember, everyone has a right to their own opinion. Only unwarranted opinions lack value. Key then to a diverse company is this lack of prejudice, because diversity becomes adversity when prejudice abounds. Contrarywise, diversity without prejudice is wonderful. LOOK FOR ALL THE VARIETALS: Prejudice comes in varieties – politics, religion, race, education, social status, and many other personal biases. Encouraging thoughtful reception of everyone’s opinion goes a long way to quieting any type of prejudice. KNOW THAT PREJUDICE IS UNIVERSAL: Statistics show that everyone harbors some form of prejudice (though most people won’t admit they have any). Acknowledging that this is a common human trait allows you to think in terms of combatting all forms of prejudice, not a small subset. With this holistic viewpoint of humanity you can address the disease, not a set of symptoms. BE THE EXAMPLE: Never say anything unkind about anyone. If something you say or do is not edifying and uplifting, it likely is evil. In the workplace, where competing ideas are shared and debated, negativity is anti-diversity – it is a form of in-your-face denial. But positive attitudes cannot be universal within a company if its leadership is negative. NO SWEARING: I know some people are having a “you must be kidding” moment, but know that swearing builds barriers. Not everyone is immune to harsh language, and much of it comes from places of anger. We had a zero-tolerance policy for vulgar or condescending language at Micrel for 37 years and it worked, as evidenced by us having the lowest employee turnover rate in our industry (and 36 profitable years). REWARD KINDNESS: Promote kindness and understanding by rewarding employees who demonstrate these traits. People do what you watch and what you reward. If you want a positive and supportive organizational culture, and one that embraces diversity as a norm, make sure the underlying mechanics of diversity are recognized. HIRE BROADLY: You need to hire great talent, but often you have multiple candidates from very different backgrounds. You can foster diversity by hiring employees that don’t fit any one mold. At Micrel we had nearly 1,000 people with about every nationality background and culture you can think of. I believe this made Micrel one of the more interesting places to work, caused employees to constantly think outside of their boxes, and made us one of most successful semiconductor companies in the industry. RESPECT: Having respect and dignity for every individual was another Micrel cultural pillar. When you look upon most prejudices, they come from a position of lacking respect. This in turn projects upon the recipient and reduces their dignity. 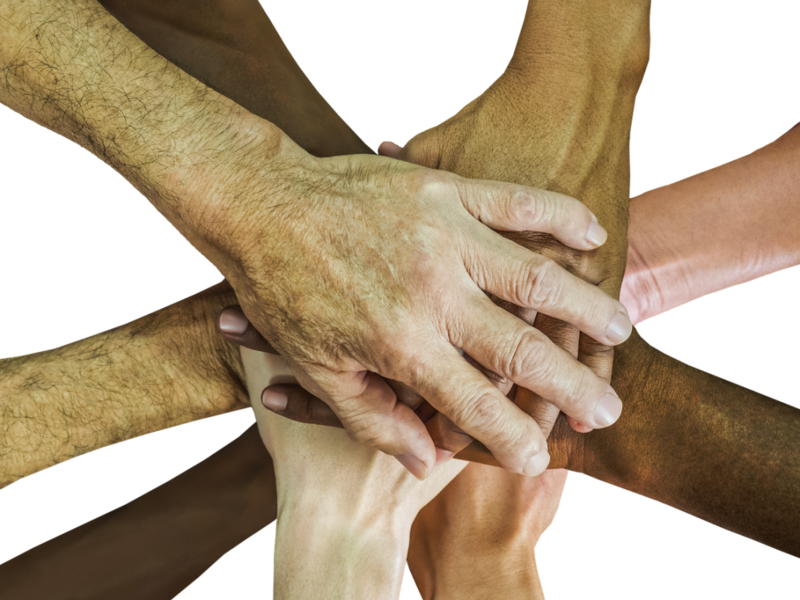 By making respect a core value, your organization simultaneously increases the effectiveness of diversity while reducing the isolation caused by diminished dignity. HONESTY: Nobody can work effectively when trust is lacking. Trust begins with honesty. Integrity – doing what is right even when nobody is looking – is the highest form of trust. ENCURAGE INVOLVEMENT: Acceptance can be tacit or involved. Putting yourself into the other person’s world, no matter how slightly, communicates open acceptance, and thus trust. In order to help foster acceptance of different cultures and nationalities at Micrel, I made it a practice to learn to communicate with employees in their native tongues. Doing this promoted good feelings among employees, who knew they were respected no matter what their nationality or culture was. For workplace diversity to succeed, the friction between people of different sexes, genders, races, and cultures must be reduced, and preferably be eliminated. This can only happen with an overarching corporate culture based in trust and kindness. Companies that create such cultures will dominate in the global economy because they will draw from the largest talent pools and have low-friction environments that allow everyone to focus on doing great things.